NetOutlook® EMS is an intuitive and easy-to-use Element Management System that simplifies management of Carrier Ethernet 2.0 iConverter® Network Interface Devices (NIDs). NetOutlook EMS improves reliability, scalability and availability of complex networks with a single management interface. NetOutlook EMS provides automated and scalable management with Fault, Configuration, Accounting/Administration, Performance and Security (FCAPS) functionality for networks with up to 100,000 NIDs. 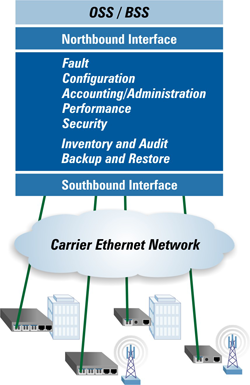 NetOutlook EMS streamlines Carrier Ethernet 2.0 business services and mobile backhaul deployments throughout the entire lifecycle of provisioning, service management, performance monitoring and fault restoration. With server and database redundancy, backup and restore, NetOutlook EMS is a high-availability management system that provides rapid restoration from natural disasters. NetOutlook EMS conforms to the Telecommunications Management Network (TMN) layered model, providing standard based interoperability with Network Management Systems. The system is Java-based and offers cross-platform support for Windows, LINUX* and UNIX* operating systems. NetOutlook EMS employs a three-tier architecture comprised of a client application, a server application and a database for optimal accessibility, performance and availability. NetOutlook EMS supports advanced alarm management by detecting faults, failures and threshold crossing events in real-time. Alarms can be filtered, labeled, sorted for rapid fault isolation, and exported for additional processes. Alarms can be forwarded to other applications, such as email, for processing through the northbound interface. NetOutlook EMS provides fault isolation with IEEE 802.1ag Loopback and Linktrace. Management and provisioning is centralized with an intuitive Graphical User Interface that visually displays all iConverter NIDs on the network. NetOutlook EMS provides complete configuration capabilities of service parameters, traffic management, SLA assurance and security. Bulk provisioning and configuration tasks can be scheduled or performed in real time. ITU-T Y.1564 and RFC 2544 Service Activation Testing can be performed remotely with NetOutlook EMS for rapid service activation. Newly installed NIDs are automatically detected and added to the inventory for management and provisioning. NetOutlook EMS provides a complete infobase of the discovered iConverter NIDs in a tree view as well as geo-located map view. Both the tree and map views facilitate informed troubleshooting with color-coded link status of all the NIDs. Inventory can be filtered, sorted and queried with manual or automatic grouping of devices. NetOutlook EMS also supports discovery display of third-party equipment. NetOutlook EMS supports real-time monitoring and historical reporting of SLA-impacting Key Performance Indicators (KPI). 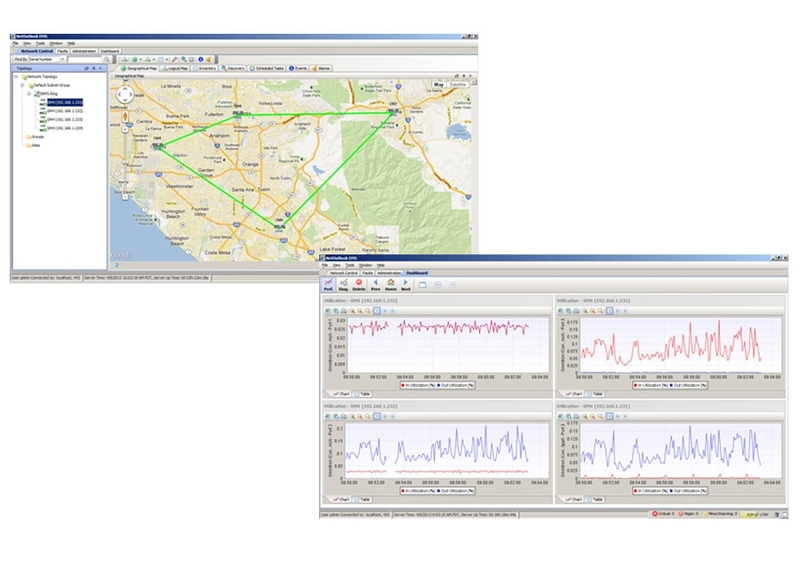 Performance statistics are available at user-specified intervals and can be plotted in graphical form displayed within the NetOutlook EMS dashboard for analysis. 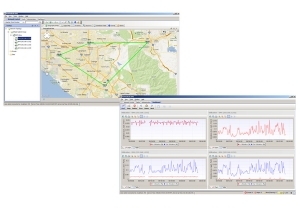 Performance data can be analyzed and exported for reporting to third-party applications. Northbound and Southbound interfaces of NetOutlook EMS provide full-session authentication and encryption via secure protocols, including SSH, HTTPS and SNMPv3. Access privilege profiles can be assigned and customized for each user. User activities are logged by NetOutlook EMS audit trail mechanism for future inspection. Designed to be a standalone management system or part of management suite, NetOutlook EMS supports standard Northbound Interfaces (NBI) for cross application integration with existing Billing Support Systems (BSS), Operational Support Systems (OSS) and umbrella applications. NID configuration settings can be backed up and restored ondemand or at user-defined periodic intervals. High-availability is achieved with both server-level redundancy and database-level redundancy. NetOutlook EMS features automated back up and system errors logs. In case of disaster recovery, the system continues to operate uninterrupted.NetOutlook EMS provides centralized mangement for iConverter GM3 NIDs, GM4 NIDs and HybridNIDs*. iConverter NIDs are MEF Carrier Ethernet 2.0 certified compliant to deliver advanced services, enable rapid service deployments, SLA assurance and comprehensive fault management.